Say goodbye to your old traditional manual scrubs and foaming cleansers, acids and balms are here to stay. 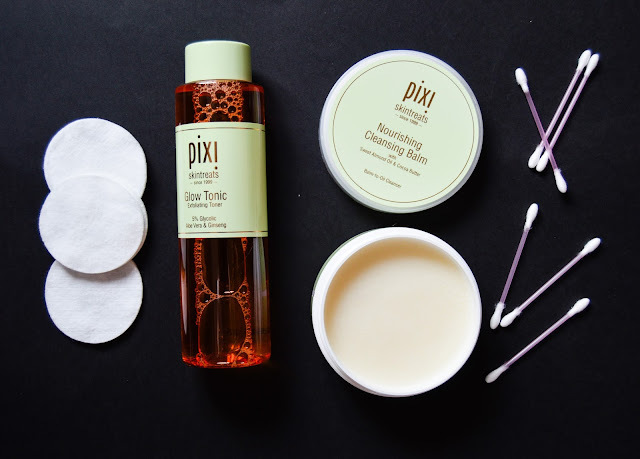 Pixi is a brand with a strong blogger backing, Caroline Hirons being one of their strongest advocates and whatever she recommends, I'm all over it. Two of Pixi's hero products, the Nourishing Cleansing Balm and their Glow Tonic, have been on my wishlist for ages. After trying the Elemis Pro-Collagen Cleansing Balm, I knew I had to try more like it. The Pixi version is very similar, it's just a tiny bit harder in the pot. You only have to scoop up a 5p sized amount to cover your whole face, the Pixi Cleansing Balm goes far. I then warm the balm up between my hands and it comes a more fluid, oil consistency, which is easy to apply to the skin. It melts away makeup in seconds, and I remove everything with a damp cloth. It's delicate on the skin, so you can double cleanse without worrying if it will strip your skin of moisture. It's cheaper than the Elemis Pro-Collagen, I think this will easily take its place. Remember last year when Pixi's Glow Tonic was sold out everywhere? I think it was for a good reason, this stuff is amazing. After lots of research, I found that Glycolic Acid is used to fade acne scarring, as it banishes dead skin cells and promotes cell turnover. I apply this with a cotton pad after cleansing, around 3-4 times a week, it does say it is gentle enough to use day and night but my skin can get a little sensitive if I overuse this. After using it my skin looks brightener and my scars seem to have faded a little. It's a product I'll forever keep in my arsenal. Have you tried anything from Pixi's skincare line? I've got my eye on the Overnight Glow Serum and the Glow Mud Mask. I've wanted to try Pixi products for SUCH a long time but I've always ended up forgetting about them when it has come to me treating myself! I want to try some of their make up products too, the eye pens look lovely. I absolutely love Pixi Glow Tonic! I have the overnight Glow Serumtoo and it's nice but I found best results with the tonic and it lasted me ages! I use the Glow Tonic every day and absolutely love it, I want to try the cleansing balm now. 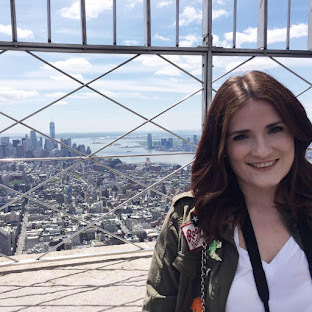 I'm a fan of Caroline's blog! I use the glow tonic daily and has definitely improved my skin! I'd love to try more from their skintreats collection, like the balm and the rose oil. Wonderful post. I've been wanting to try out that glow tonic for ages but the brand is quite difficult to get in Australia. I really want to try the glow tonic, everybody seems to enjoy it!